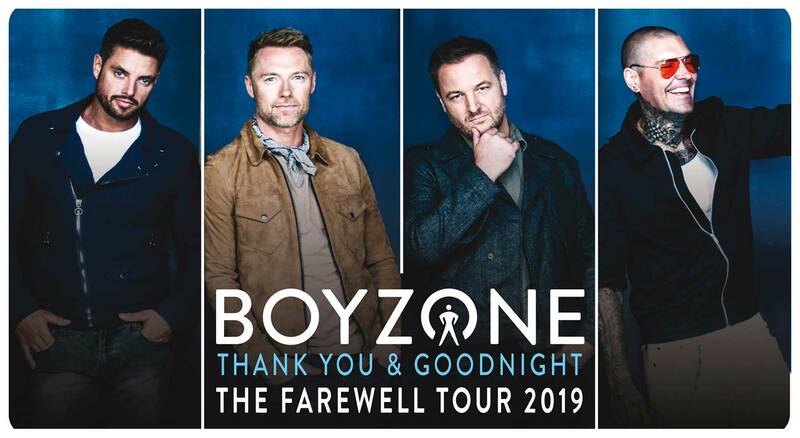 Boyzone are an Irish boy band. Their most famous line-up was composed of Keith Duffy, Stephen Gately, Mikey Graham, Ronan Keating, and Shane Lynch. Boyzone have had 21 singles in the top 40 UK charts and 22 singles in the Irish charts. The group have had 6 UK number one singles and 9 number one singles in Ireland with 12 of their 24 singles in the UK being in the UK Top 2. Boyzone are one of the most successful bands in Ireland and the United Kingdom. In total, Boyzone had 19 top 5 singles on the Irish Singles Chart, 18 top 10 hits on the UK Singles Chart, nine No. 1 Irish hit singles and six No. 1 UK hit singles and five No. 1 albums, with 25 million records sold by 2013 worldwide.